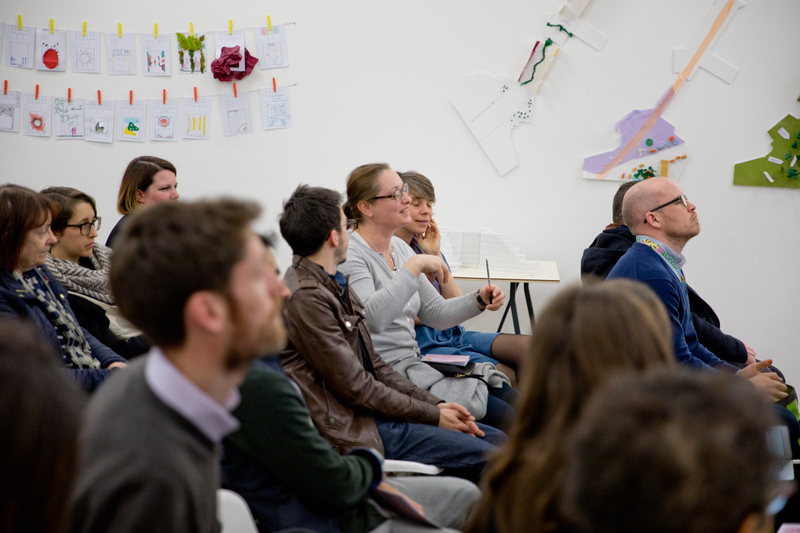 Mobilising change: towards collaborative placemaking, the final event in our 2018/19 WE design series, took place at the Raven Row gallery in London on the evening of 26 March. We were joined by a rich mix of participants from communities and a range of sectors and disciplines, all of whom share our interest in exploring how we can work better together. The event was a space to share our experiences and the co-designed objects produced at the previous events in London, Sheffield and Edinburgh, as well as to reflect on what we had learned. We also invited those attending to explore what we can all do to enable people to play a more active role in shaping where they live, work and play. During the WE design series, The Glass-House tested a new approach to combining active co-designed, place-based activities with broader discussion about the bigger picture. We were keen to continue our longstanding approach to creating a safe and neutral space for discussion, whilst at the same time testing how we could make these events as useful as possible to local people and place-based initiatives. This was not without its tensions, which served to prompt rich discussion and debate at Mobilising change. 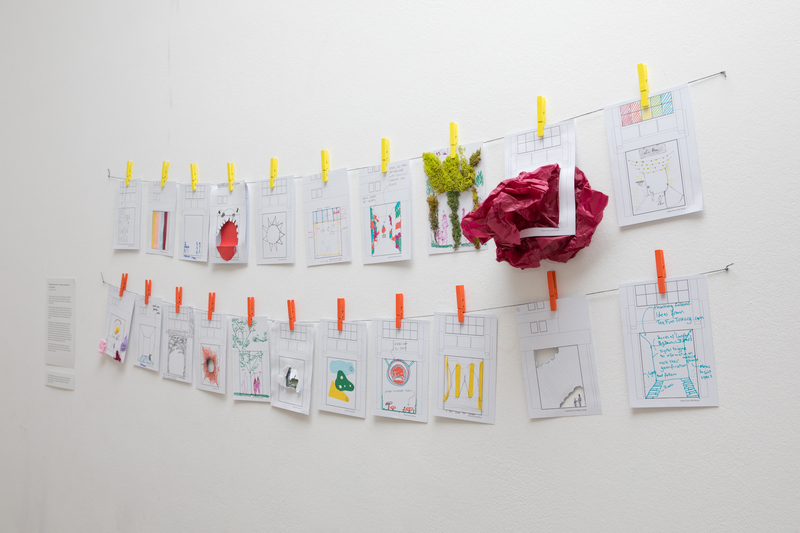 The event included an exhibition in a beautiful gallery space, where those attending were able to experience our celebration of the rich outputs that were co-produced by participants at the first three events. 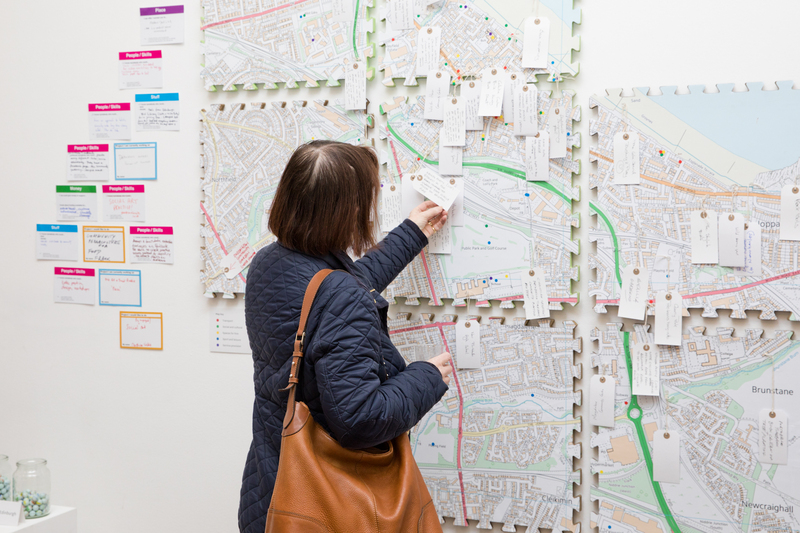 Each event on display was unique, featuring a range of objects which included: a wall map from a discussion about the language of collaborative design, co-designed and co-produced models prototyping new ideas for city spaces, and a collection of voices and views on a neighbourhood, as well as various forms of mapping, including what happens there, what could happen there and how people can work together to make things happen. 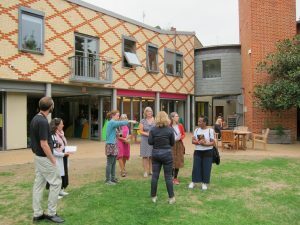 It was plain to see that these sorts of activities and processes can generate rich discussion and ideas, but also raised some really important questions about how these approaches to collaborative design can be used, by whom, and how they can contribute in real terms to local decision-making and placemaking. These questions were echoed and explored further at Mobilising change. One theme that was discussed at length and is of great interest to The Glass-House, was where should the balance lie between more generic conversation about our places and how they function, and project-based engagement activities. This was much discussed at our Portobello connects event in Edinburgh, where participants who were initially quite sceptical about the purpose of our event and how it fit into their local conversation. However, as the workshop progressed, people commented on how rare and valuable it was for them to have the kind of big picture conversation we were having. 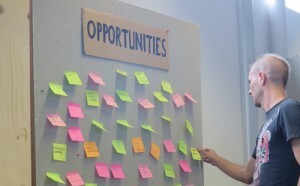 They were struck by the opportunity this gave to connect views, information, initiatives and ideas in a way that just doesn’t seem to happen in single project or scheme engagement activities. It also allowed us to talk about the large-scale public and private sector regeneration alongside the small, more organic community-led initiatives. How do we capture, translate and use what has been produced and collected at an engagement activity? Here we need to think about how data and objects are translated into sharable and easily usable formats; where and how is it appropriate to digitalise, and who holds, shares and has access to the data? How can the momentum from that activity continue beyond its confines of the space and the people present? What is the best mechanism to enable that mix of both face-to face activities and processes that create opportunities for people to engage in other ways? The question that naturally follows is who should convene and manage these processes? 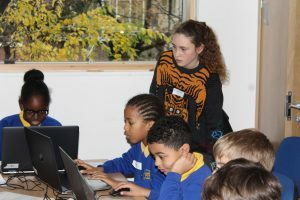 As a national charity that works around the country as an independent enabler, we are always reliant on local partners to help us get the right mix of people in the room. 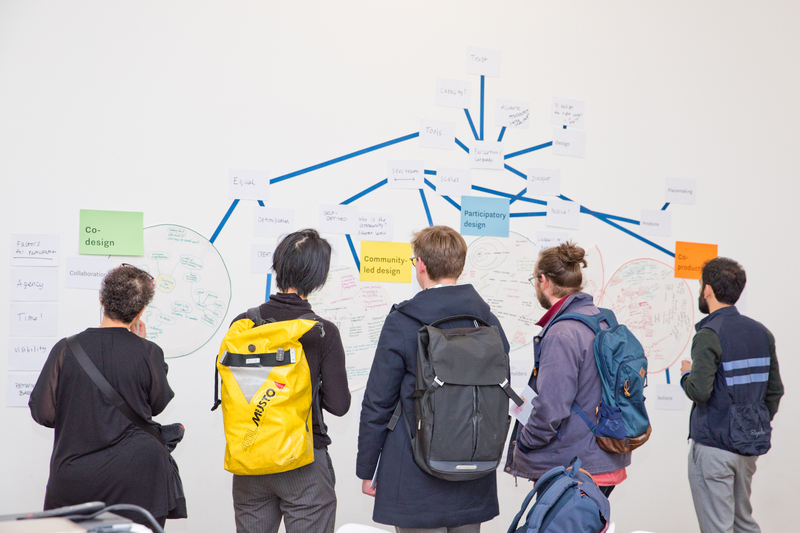 What we have found, and what many in the room at Mobilising change seemed to agree with, is that it is difficult for any one group, organisation or sector to convene and manage a truly inclusive design and placemaking process alone. It is through a collaborative approach to project management and outreach, and not just commissioning in external expertise, that makes great things happen. We should also think more strategically from the outset about how that collaboration and engagement of local people and organisations will inform decision-making. 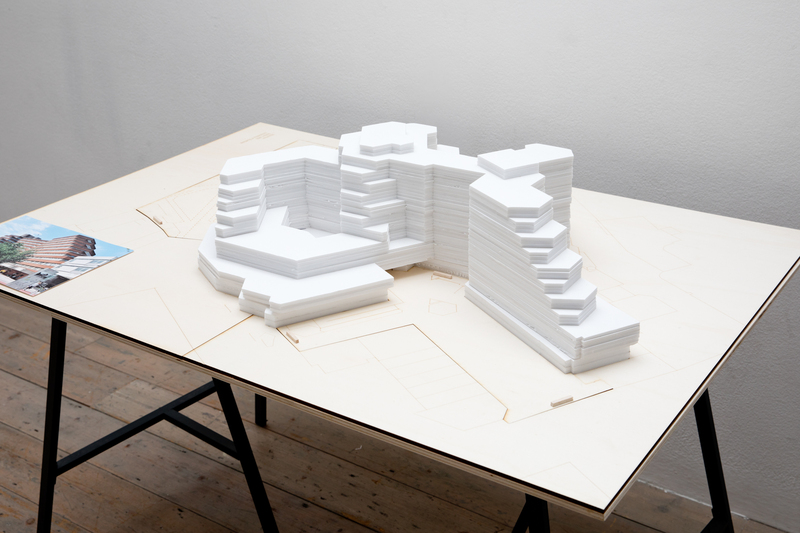 As the models from Sheffield demonstrated, inviting people also into the creative side of design can unlock both local knowledge and inspired ideas. One participant at Mobilising change asked the important question of whether more engagement is always better. This led us to address strategy, timing and spectrum of activities and interests that support collaborative design. There is no quick answer that will serve every place – each is different, and each project within it has its own set of considerations, opportunities and challenges, as well as a complex network of people who will be affected by any change that happens. Coming back to our conversation at Beyond Buzzwords, we agreed that while it is difficult for us to come up with universal definitions for the terms used in collaborative design, it is important that we work together to agree clear terms, processes and indeed shared values for each collaborative design journey in which we are involved. We would like to thank those who took part in all of our events in this year’s WE design series. Your generosity in sharing your ideas, experiences and time with us has helped us formulate and share some interesting reflections and questions. We certainly don’t have all of the answers, and are always keen to work with others to explore these themes further. We welcome your ideas on next year’s WE design series, as well as interest in collaboration. If you would like to speak more about this, please contact us. Event photography by Jonny Bosworth.